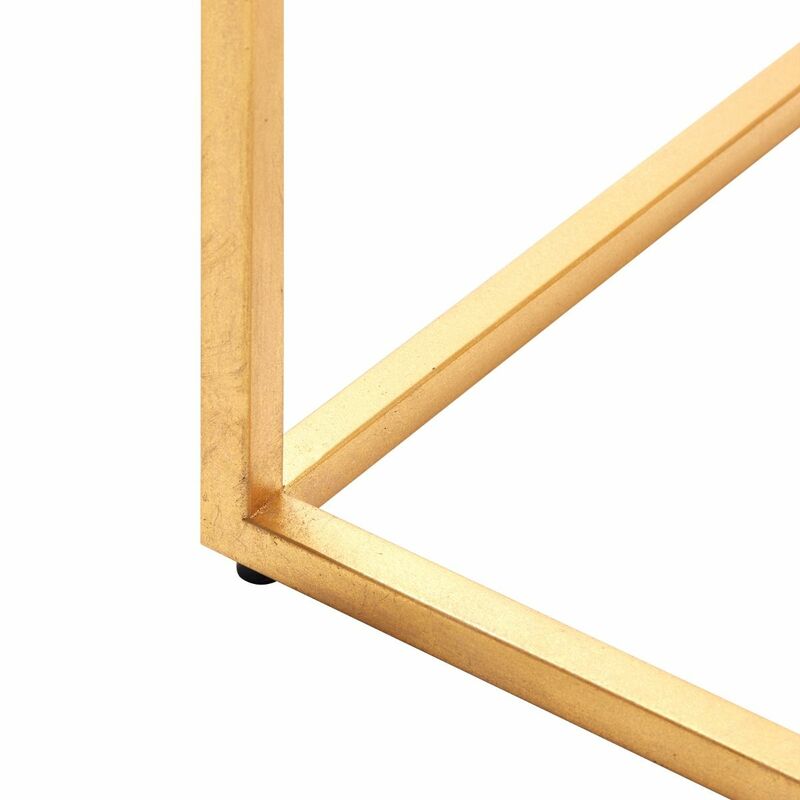 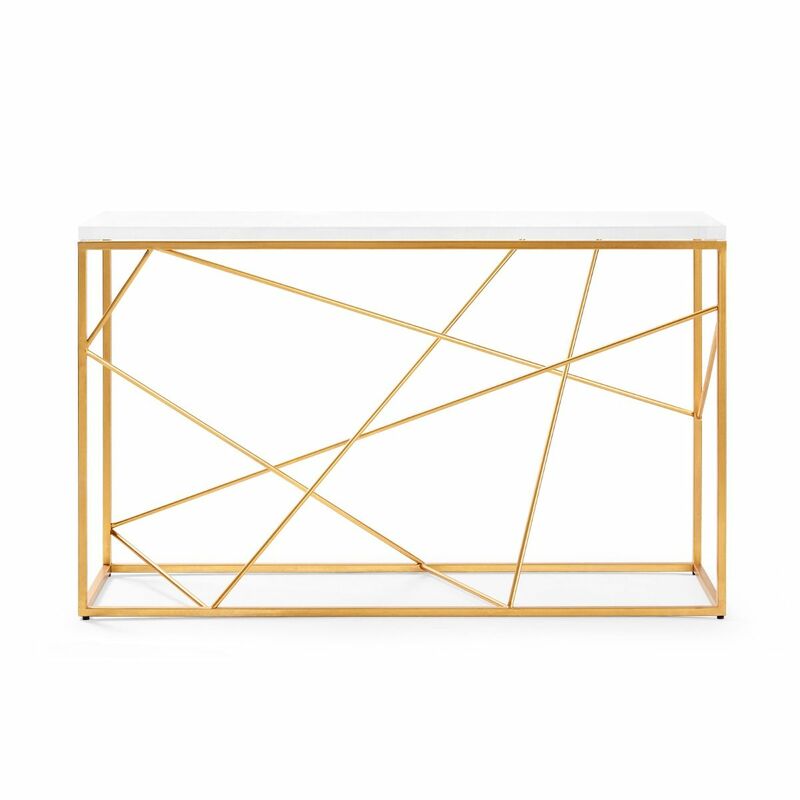 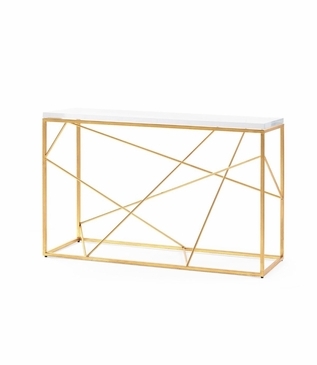 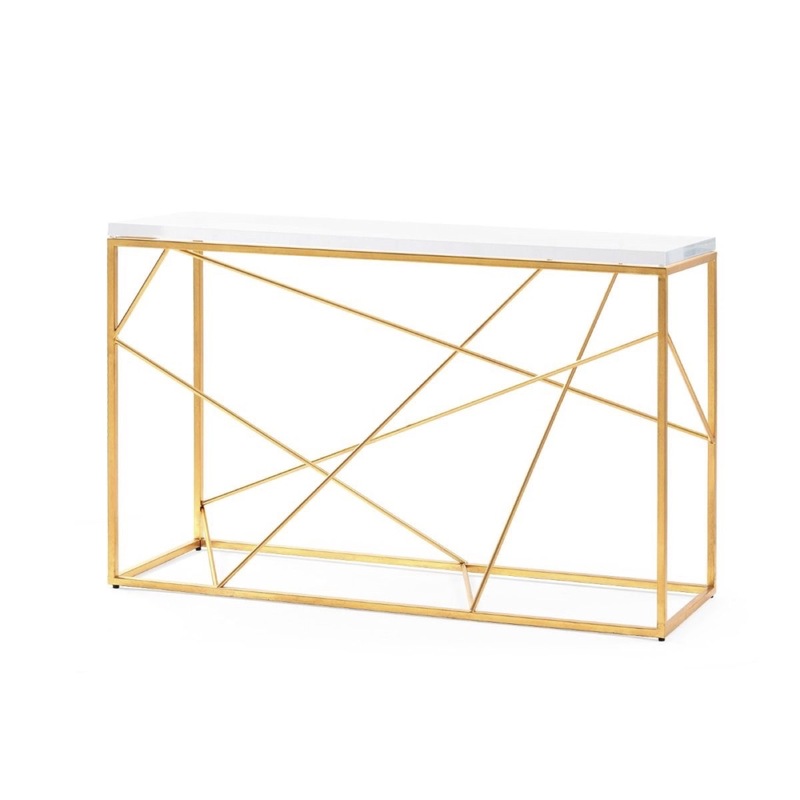 Playing with space and geometry, this console table boasts hand-leafed golden metal rods that zig-zag and create a captivating pattern. 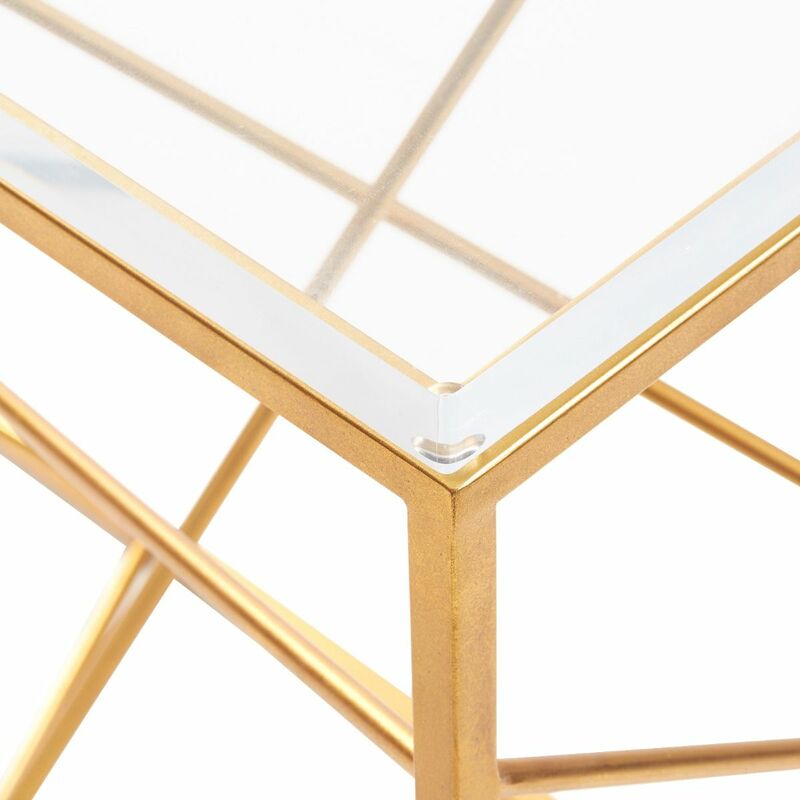 The look is elegantly topped off with a thick, clear lucite top. 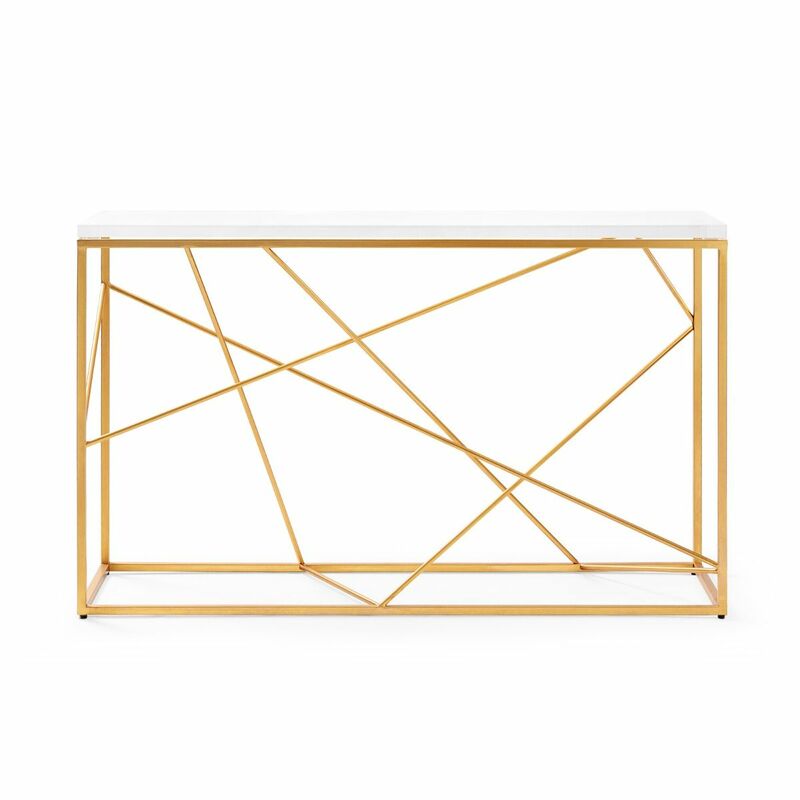 Size: H: 29' • W: 47" • D: 15"